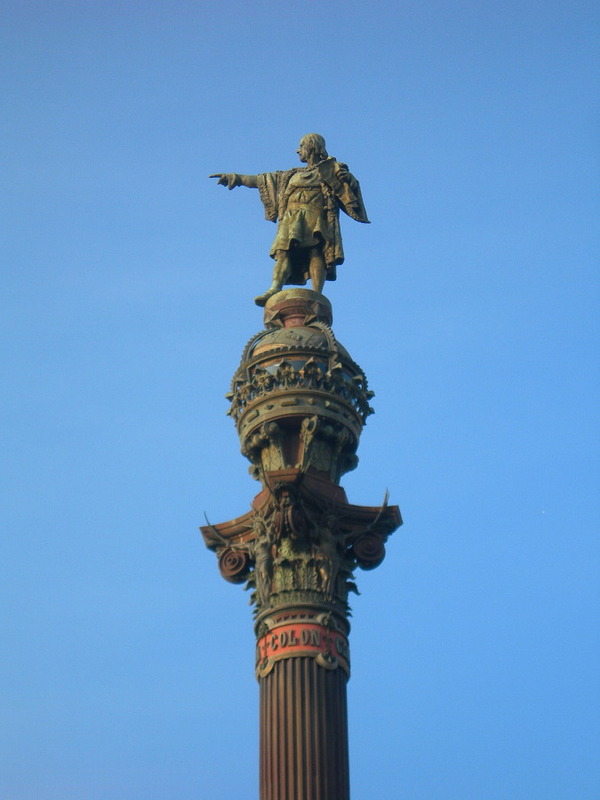 Columbus Monument (Monumento a Colón) is one of the most famous statues of Barcelona city. It was built in 1888 for a Universal Exposition and it represents a statue of Christopher Columbus (Cristobal Colon) above a pillar, pointing with his right hand to the sea (metaphorically, pointing to America, although actually the statue is pointing to Italy). Columbus statue is placed in the “Peace Square” (Plaza de la Paz in Spanish or Plaça de la Pau in Catalan), which is between La Rambla Street and the port, at the cross of Colon Avenue. The monument measures 60 metres in height, and it is made of iron and bronze. 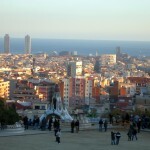 This area of the city is one of the most popular among the citizens and tourists who visit Barcelona: That is because, staying at Colon, on one direction you will find the Port and the beach, and in other direction there is Las Ramblas Street, where you can visit some important museums, the Gothic neighborhood, La Boquería Market, Catalonia Square, Barcelona Cathedral and many more places. Also, it’s a good place to have a lunch and at night there are many bars and pubs for young people in the area. To arrive at Columbus Monument, you can go by metro (Line 3, Drassanes Metro Station). 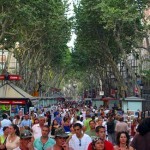 – Las Ramblas: “La Rambla” is a famous street in the centre of Barcelona where citizens and visitors can walk, visit monuments, eat and rest in the terraces, see the port of Barcelona, go shopping or go to pubs during the night. Generally, the whole area around this street is full of people, not only during the day, but also in the night. – Maremagnum: This commercial center is located beyond Columbus Monument, just above the sea. 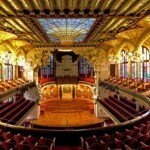 In there, you will find shops, terraces, discotheques and a lot of hobby activities.